Bossini has been producing showers and accessories since 1960 with the awareness that even a simple daily act, like using the shower, can open the door to a whole world of values: functional, aesthetic, technical and human values. 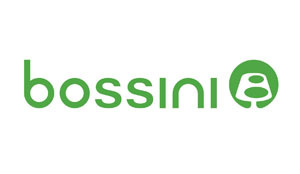 Quality, design, research and innovation are the founding principles of all Bossini’s planning and production. Consequently the Company has garnered a prestigious role for itself in the international showcase – where Italian design has always been considered the ultimate of good taste and elegance – proposing a range of products that are innovative and meet the highest of quality standards. Thanks to its 50 years of experience, Bossini has succeeded in giving showers the added values of personality and character reflected by a highly evolved concept of “The Bathroom”, intended not only as an intimate space that merits top quality in terms of aesthetics and function, but as a new theatre of home wellness. With Bossini the shower turns into a truly emotional experience to be enjoyed every day.